If you’ve ever let curiosity get the best of you and picked up a pint of kumquats you may have been a bit disappointed when biting into one revealed a sour, dry, seed filled citrus that doesn’t taste half as good as it looks. While they’re not great for eating, kumquats have a wonderful flavor somewhere between an orange and a mandarin. 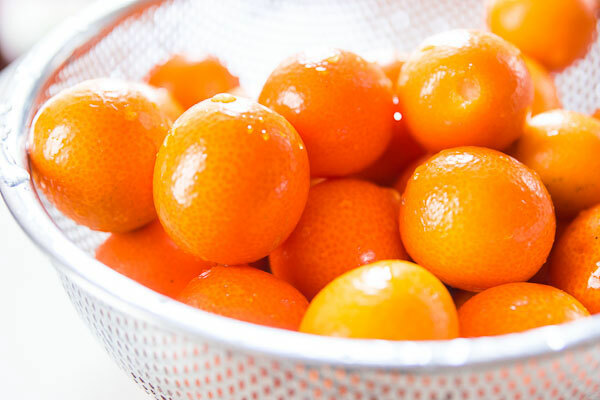 Because you’re meant to eat the skin, kumquats have been bred to be less bitter with tender flavorful skin. This makes them perfect for making marmalade. Since they don’t have a ton of juice, you’ll need to add some liquid at the beginning. I like using shochu (distilled rice wine) because it adds a subtle flavor, and because it evaporates faster than water. But white wine, vodka, or water would all work just as well. For kumquats, honey is my sweetener of choice because the floral notes in the kumquats and honey dance around in harmony on your tongue. If you happen to have a vanilla bean sitting around, toss the seeds in to add a third dance partner. The best part about this recipe is that you don’t need to add pectin. That’s because citrus peels contain as much as 30% naturally occurring pectin. 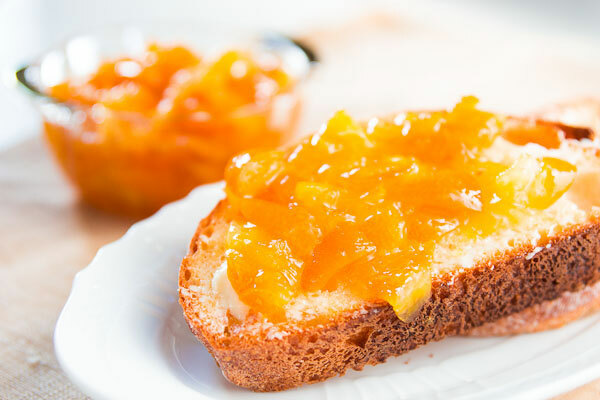 Enjoy this kumquat marmalade on buttered toast in the morning, or use it in sauces and marinades to add a bit of sweetness and flavor. 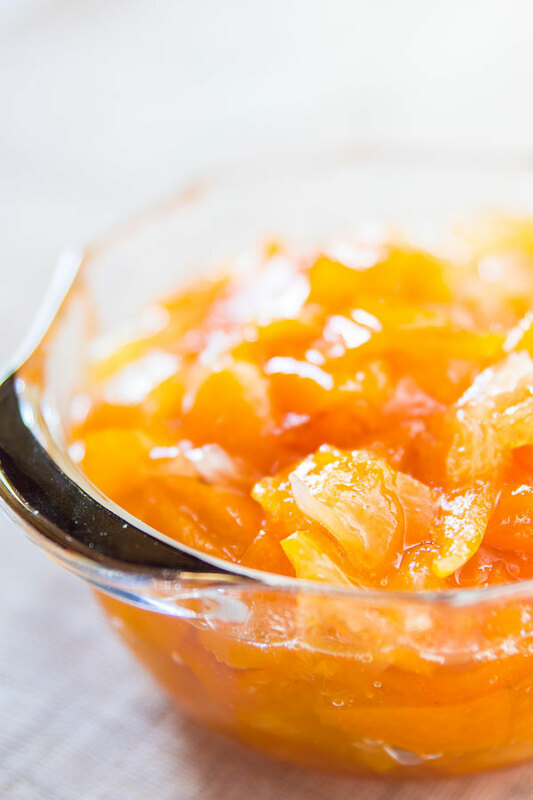 Kumquats are not great for eating, but they make a sweet marmalade with honey. 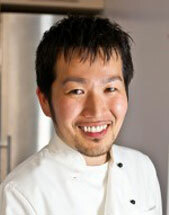 Marc Matsumoto of NoRecipes shares his recipe in a full post at the Fresh Tastes blog. Wash and cut the kumquats in half, exposing the seeds. Use the tip of your knife to remove the seeds. Cut each half into quarters or eighths, depending on how big they are. Add the kumquats to a pot with the honey and rice wine. Cover and heat over medium heat for 5 minutes, or until the skins start turning translucent. Watch the pot as it has a tendency to boil over. Remove the lid, then simmer uncovered until most of the liquid has evaporated and the remaining liquid is thick and viscous (about 10-15 minutes). 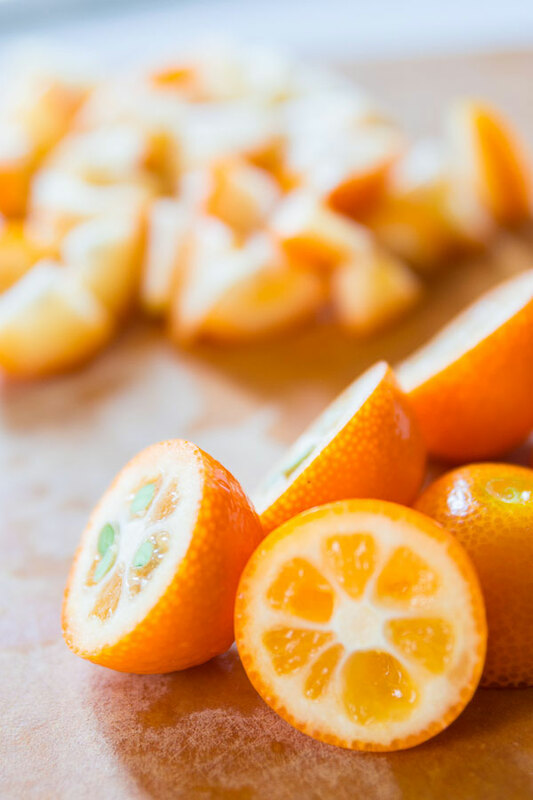 Because kumquats vary in sweetness, you may need to add a little more honey to yours, so taste it as it cooks and adjust the sweetness to your liking.